Think for a minute or two about the most well-read websites on the internet. The chances are they contain well-written content – because, unless they’re giving away something for free, why else would you visit it? Good content engages its audience – and that’s precisely what keeps people going back to a particular site. Even pages like Lad Bible on Facebook use well-thought-out captions to entice the reader to click ‘Play’ on an accompanying video. So, just how do you create such compelling, story-telling content when you’re trying to run a successful business? We know you’ll probably be short of time, which is why we can step in to help. Offering a host of content marketing and copywriting services, our skilled team of writers is ready to tackle your brief. Whether you’re looking for website content, or some text for a handful of customer emails or e-newsletters, we can help. We can even assist with in-depth blog articles, eBooks, and FAQs. 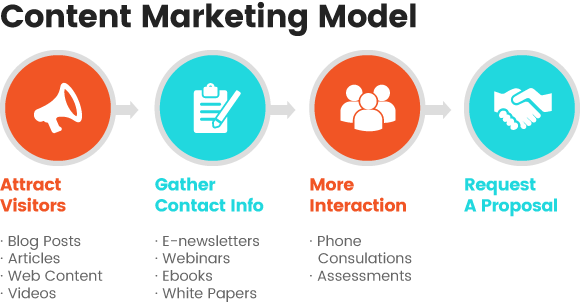 Why Use a Content Marketing Agency Like Ours? We love this quote via CopyBlogger: ‘Content without copywriting is a waste of good content’ – and that’s true, you know. All too often, companies and organisations short of time litter their site or e-newsletters with ‘content for content’s sake’. They care less about creating engaging copy and more about simply getting some text on their site. You may have been told – quite rightly – that Google favours sites with regular content. But what it doesn’t favour is sites with reams of text. Text which no one is reading. Or sites featuring a smattering of key words which therefore turns copy into a block of text filled with random words. Just. Don’t. Do. It. We may have coined a new slogan there; a Harrison Mann take on the Nike one? But it’s right. If you’re not entirely sure why you’re doing something – and why exactly your customers will benefit from it – don’t go there. …and therefore do what they shouldn’t be doing in order to get the website hits they want. You’re not going to be one of them. …and you’re not going to be one of them because you know better than to drum up website visitors who may or may not be interested in your product or service. Instead, you need to drum up publicity the right – and sometimes, the harder – way. And it doesn’t stop there. We can create seriously good content for a host of platforms, but remember: if you’re writing great articles that people would love to read but you’re not getting the traffic you want, the problem may be that your copywriting just isn’t up to scratch. Great content does so much more than bring readers to your site; it tells a story and helps build a brand. It’ll also help you connect with your customers, as well as encourage both trust and loyalty. Stand out from your competition by becoming an authority within your industry. Of course, you can do this via a great content marketing agency like ours. We employ a team of skilled copywriters who’ll take your brief and goals and make them into something even better. Content is the most important part of your website and there’s a reason people say: ‘content is King’. Allow us to make you an authority in your industry by telling your story via the many online platforms you’re on. We’d like to help you build a connection with your customers here at Harrison Mann, and we understand what it means to write great content for our clients – since we do it almost every day at HQ. Getting to the very core of your business is what it’s all about – and we make sure we do that here in Yorkshire. It takes time to develop and express that understanding of your customers through writing, and it’s true that almost anybody can write, but there aren’t many who can write well. The right content can go a long way in building trust and, for that reason, it’s important to utilise more than one style of writing on your site. While you need to try to maintain a consistent tone, there are different ways to push a message online. We offer a host of web content packages, including blog management, copywriting, and guest blogging, to ensure you can pick and choose the services you’ll benefit from. We create and deliver blog posts on a regular basis, pushing them live directly to our clients’ sites. Helping to build brand awareness and trust for your business, our blog management copywriting service may be just the route to go down. Crafting specific content for targeted traffic, this convenient service sees us create new leads for your business. An essential element of online marketing, copywriting should be your first port of call when creating a new site. We deliver copy for Pay-Per-Click campaigns and city specific landing pages, as well as for web content such as ‘Service’ and ‘About Us’ pages. There’s an art and a science to delivering content that will make someone take action – and once you’ve mastered that, you have a customer (or customers!) for life. Allow us to make links with the right people online via our guest blogging service. The act of typing up a blog post for publication on a website other than your own, guest blogging puts you in front of people who might have otherwise been in the dark about the services you offer, or the products you sell. Helping to spread your brand and its message to a whole new audience, it’ll ensure you gain high-quality links in the process. Building your online reputation and increasing your site visitors, guest blogging could be one of the easiest – and cheapest – things you can do for your brand. 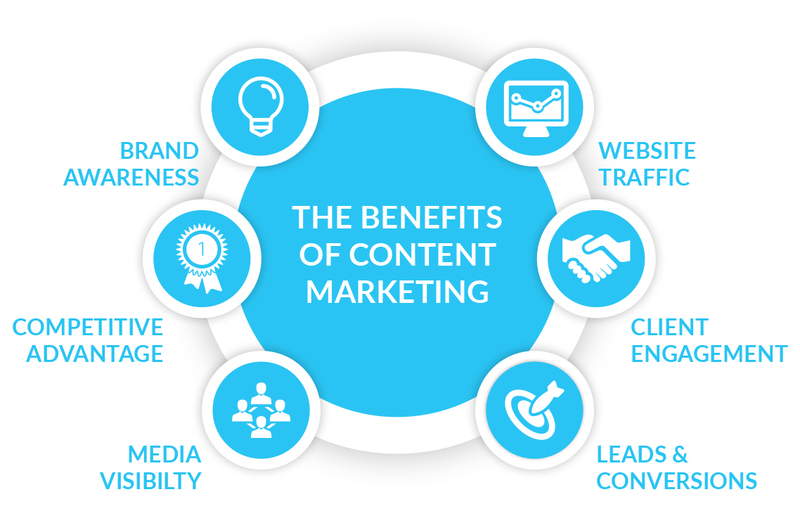 Content marketing is a popular marketing tactic. In the UK, 85% of all marketers and 90% of B2C marketers are investing in content marketing (CMI). Content marketing is proven to get results. 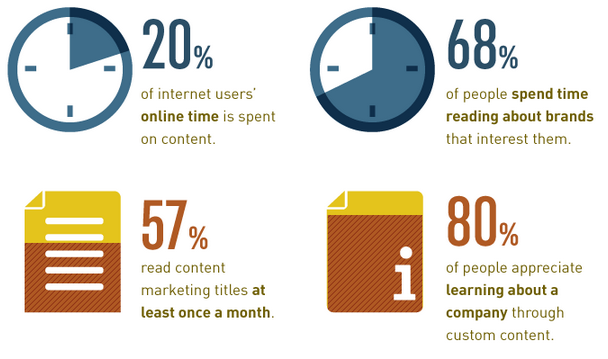 41% of content marketers say they are generating return on investment from their content (stateofinbound.com). When it comes to sharing content, Twitter is the top-rated platform for content marketing distribution; 75% of marketers rate it as effective (CMI). Content marketing needs variation: 60% of marketers prioritise content variety across different channels. The most common are social media, engaging web content, and graphic content such as infographics – 70% of UK marketers now prioritise visual content (CMI). Content marketing is a growing field. Over three quarters (78%) of marketers are creating more content than the previous year. In addition, half of B2C marketers are expecting an increase in their budget for copy (CMI). Your business’s blog should be the cornerstone of your content marketing efforts and, if it isn’t quite there yet, we’ll help get it there. You can express much more of your personality and show off your business knowledge in a blog post, so why not do it? Interested to see how blogs we’ve created have got the word out about Harrison Mann? How to Use Your Blog As the Cornerstone of Content Marketing is a piece we created for the Jeff Bullas site, and it was so popular it received over 7,000 shares. On top of that, we achieved numerous leads and some great links back to our website. So, you see, blogging and website copywriting can be useful; why not get on board? We also created some winning content for Adelto, as well as industry titans Virgin Atlantic and Bulgari. The piece we wrote for Adelto – an online contemporary interior design, property, and luxury travel magazine – featured the luxury Dhigu Resort, Maldives and generated over two million shares. That one article also brought in over £5,000 in Adsense revenue; work with us and there’s a chance we could do the very same, and better, for your business. Good content will bring you customers, which will ultimately lead to sales. It will boost your business, so why wouldn’t you get on board with that? Building brand awareness, our content is always well-crafted and always features a strong call to action – be it a link to a hero product, or a link to your contact details. Contact us today and let us tell your customer story on your behalf. We will help build the connections and trust that customers need before making a purchase. We’ve worked with industry leaders for years, getting to the root of customer needs and provoking action. Allow us to do the same for you, too; simply contact us and we’ll go from there. Need help with a brief?